I came across this site after realising I had a bed bug infestation after returning from a holiday a few months earlier. I read horror stories about how difficult bed bugs can be to get rid of and the thought of having to pay $1000’s as well as this disruption to my life moving furniture and cleaning clothing/bedding, etc. was extremely stressful. Not to mention the terrible night sleep which comes after such a discovery. 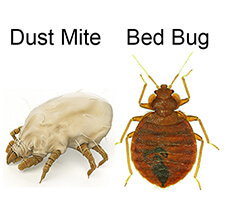 I was slightly sceptical about this website simply because they made the process of getting rid of bed bugs seem so simple which was in total contrast to the stories I was reading online, their website also had tons of reviews but I couldn’t find any reviews external to their own site however their prices were much lower than I had been quoted to get a professional pest controller in so I gave them a try. I ordered the products needed which came fairly quick, I also spoke with one of their specialists on the phone who has worked for the company for over five years and offered me great advice. I’ve installed the products, followed the instructions and I’m yet to see more bed bugs two months on. The company followed up a number of times asking about my progress and seemed to genuinely care about the outcome.